McMaster’s DeGroote School of Business is transforming its Bachelor of Commerce program, with an emphasis on problem-based discovery, interdisciplinary study and interaction with business leaders that will prepare graduates to prosper in the quickly-changing conditions of the business world itself. A significant gift will enable the university to plan and build the McLean Centre for Collaborative Discovery at the DeGroote School of Business, over what is now the Innis Library, with the building being specifically designed to facilitate a new and evolving model of teaching business to students from all faculties. The gift comes from the McLean family, which has a special affinity for McMaster. Three generations of the family have studied a broad range of subjects at the university, including Statistics, Computer Science, Business, Cultural Studies, Sociology and Gender Studies. 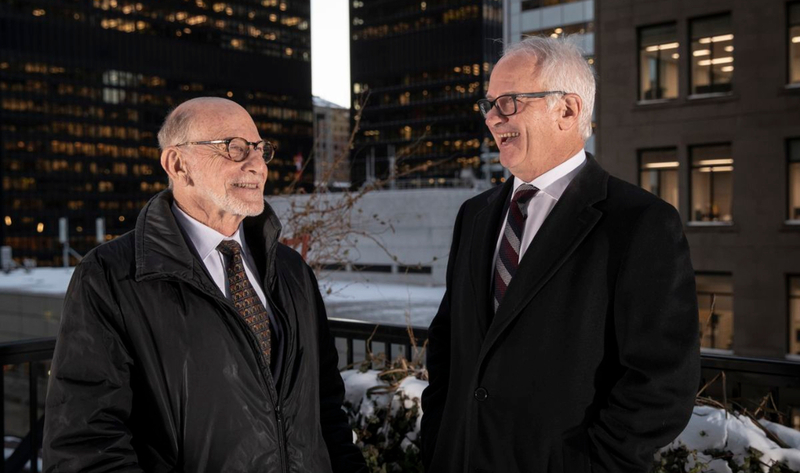 The family’s commitment to sharing time and resources with the community inspired the gift, which McMaster’s Dean of Business Leonard Waverman announced publicly Jan. 25. The gift is to be combined with other private, public and university funding to total $50 million or more. Waverman said the new space will be designed to facilitate a teaching model centered around connecting working business leaders, instructors and students from all disciplines. “This forward-thinking gift allows us to reimagine business education, creating forms of teaching and learning – discovery – that will engage students from across campus and expose Commerce students to what’s transforming the world in real time,” Waverman said. In the new building, students will learn in open, flexible spaces, making use of ever-changing technology. The McLean family said it hopes the gift will provide further momentum to the university’s plans to transform undergraduate business education at McMaster.